Slovakian designer Šimon Kern gives us his take on sustainable furniture, much like Gavin Munro’s Full Grown furniture. 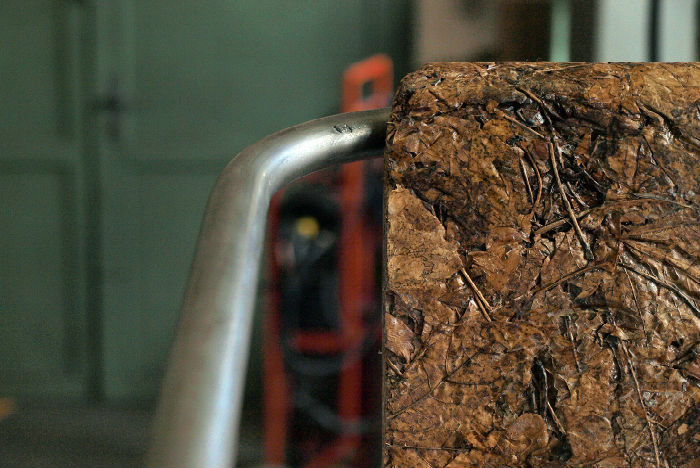 To make the Beleaf chair, Kern uses dead leaves, the same ones you find on the ground on a walk in autumn, and applies a natural resin that is made from used cooking oil. The chair is fashioned on a simple metal frame allowing the star of the design, the textured intricacy of the leaves patterns to come through. 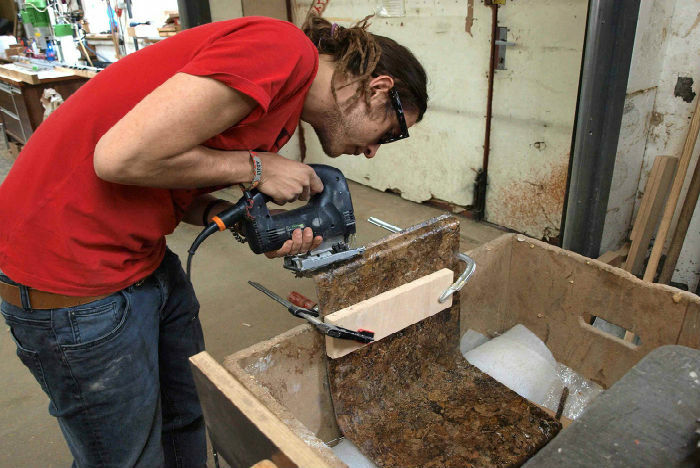 Currently, the chair is in prototype phase but Kern hopes to perfect the process so that it becomes a viable option for furniture. There is a circular beauty to this as well, Kern believes if the seat part becomes worn out or broken, you can put it under a tree where it degrades into the soil to nourish a new growth of leaves.